Practice doesn’t make perfect, feedback does. If you want to actually get better at something, you need to first figure out what you’re doing wrong. The following is adapted from Learn Better by Ulrich Boser. By permission of Rodale Books. For me at least, the science of practice first showed its power at the 3-point line. It was an hour into the pick-up basketball game, an informal league of newly minted college graduates and beer-bellied dads, and I caught a pass at the edge of the 3-point line without a defender nearby. I was not supposed to shoot the ball, though. One of the worst players on the court, I was often targeted for easy steals. Teammates would overlook me on offense. Even among the slow, weak, middle-age dads that peppered the league, I was particularly slow, weak, and middle-aged. But I was all alone at the time. So I fired off the ball with a brawny aim, and surprisingly, it slipped into the bottom of the net with a snap. Did that actually go in? I thought in a moment of disbelief. And then a follow-up notion: Were my basketball lessons behind this? I began playing hoops again about five years ago, and it provided all sorts of pleasures, from deadening work-outs to sweaty postgame trips to the bar. But on some nights, I would play for hours without landing a bucket. My best skill, it seemed, was the dedication with which I fouled my opponents. 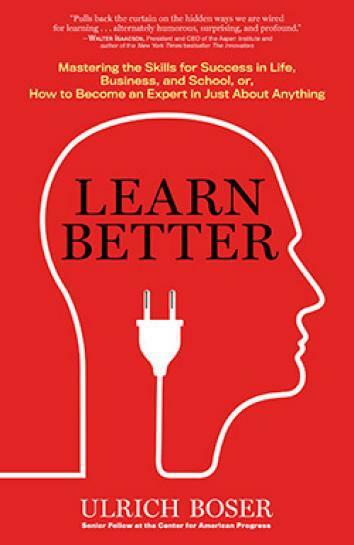 A few years ago, I started working on a book on how people learn, and it dawned on me that I could use my reporting to improve my pick-up game. 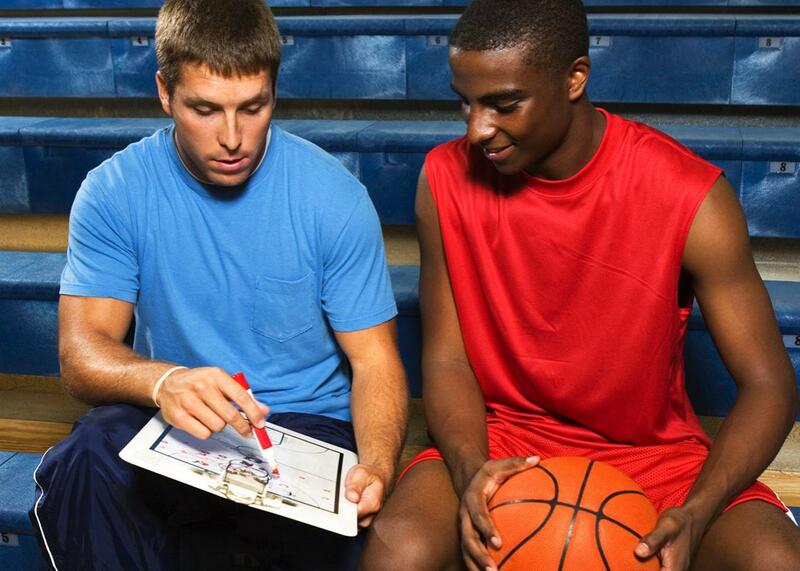 According to a growing number of scientists, learning—and its cousin, practice— run on dedicated feedback, and so, as a fortysomething, I hired a basketball tutor to help me grow as a baller. Before you laugh—as some of my friends did—keep in mind that doing an activity is not the same thing as getting better at that activity. We often believe, for instance, that if we sing a lot at church, we will get better at singing over time. Or if we play a lot of soccer, we will score more goals over the years. But that’s not the case. Time spent on an activity doesn’t automatically translate into improvement. The research is pretty clear on this fact, and some first-year college students will have clear misconceptions about physics, even after they’ve solved more than 1,500 physics problems. So while the students banged out Newtonian problem after Newtonian in high school, they still couldn’t really explain Newton’s third law. Handwriting is a similar case study. After grade school, we tend not to practice our penmanship. We don’t seek out feedback, and so while we might pen notes every day, our skills get worse. Our “g”s will look more like an “s.” Sentences will look like a set of tiger claw marks. In fields like medicine, this happens despite the fact that weak handwriting skills might cause some 7,000 deaths each year. When it came to hoops, better forms of practice¾and targeted feedback¾eventually came in the form of Dwane Samuels. During his 20s, Samuels had played basketball at some big-name colleges, notching up minutes in summer leagues against NBA All-Stars like Ben Wallace. Later, Samuels found a spot playing for the Washington Generals, the Harlem Globetrotters’ perennial opponents. I found Samuels online, and while he had retired from professional basketball to start a basketball skills company, Samuels was still a human velociraptor, large and muscular. We met a local gym for our first session, and within moments, he had me reviewing the most basic of basic moves: Dribbling through a set of orange cones, shooting layups, taking 2-foot jumpers. For a long time, I was too embarrassed to tell anyone about the tutoring—not friends, not family—certainly not anyone that I played basketball with each week. A plodding father of grown children should not take lessons to become a better baller. Tennis classes? Maybe. Golf? Fine. But basketball is a young person’s game, fast and quick, and most of Samuels’s clients were children who were about the same age as my own. But within weeks, my jumpers started falling more regularly. I hit 3-pointers. Other people began to notice, too. “You were ‘Mr. Lights out!’ with the shooting,” someone emailed me. I was surprised by my improvement, to be sure. Despite working on a book on learning, I didn’t quite believe the initial gains that I saw in my game. It turned out, though, that my development was actually pretty typical. Especially in the early phases of learning, guidance and criticism can have an impressive impact, and to a degree, the effects of feedback are really the effects of instruction. When we get outside advice, we’re landing information on how exactly to execute a skill. This was clear with Samuels, and between trainings, I had discrete homework like lying on my back and practicing my shooting form. We once had a conversation about how my middle finger should roll off of the ball—my finger should drop like it was going into a class of water, he said. Feedback also gives us a way to track performance, to gain insights into our own behavior, and it turns out that we don’t even necessarily need an instructor to get some of the benefits of focused criticism. Even just a bit of self-monitoring can reduce errors—and boost outcomes. On this point, my favorite example is Mark Bernstein. A brain surgeon in Toronto, Bernstein once wrote down every single mistake that occurred in his operating room. If a tube fell to the floor, Bernstein made a note of it. If a suture didn’t stick, he’d record it. Even just some miscommunication would go into his database. Bernstein’s effort created a “feedback loop,” as Ericsson argues, and the effects of the monitoring were immediate. Bernstein’s team’s surgical error rate plummeted over the first year. What’s more, the positive effects of the self-monitoring continued to hold for more than a decade, with Bernstein’s error rate continually declining over time. Granted, feedback—even it’s just a little self-monitoring—has its downsides. Tracking outcomes can be embarrassing. During a practice session, Samuels once blocked one of my shots with such strength that the ball bounced off the wall with an echoing thwack. Worse, Bernstein’s team once dropped a piece of someone’s skull “about the size of a playing card” onto the floor during a surgery. “Mortified” is how Bernstein describes the experience. I came to view this embarrassment as part of the cost of getting better, and I also began to do more to monitor my own performance. Sometimes I’d video myself so that I could figure out ways to improve my shooting. On a court near my house, I also began noting my shooting percentages from various spots on the court and would aim to make 5 out of 10 shots from the corner or 6 out of 10 shots from the top of the key. As I got better, I dug deeper into the research and started to incorporate other better forms of practice. Taking a tip from other learning experts, I broke up my practice into smaller chucks and did more to spread my learning out over time. So instead of hitting the court once a week for an hour, I’d swing past almost every day. It didn’t matter if it was raining or cold. It didn’t matter if it was only for 10 minutes. I would get out and practice a few moves. Following the science, I also tried to mix up my practice as much as possible. So instead of shooting 50 jumpers in a row and then 50 foul shots, I would interleave the shots. First, five jumpers, then five four shots, then five jumpers again. “The ultimate crime is practicing the same thing multiple times in a row. Avoid it like the plague,” psychologist Nate Kornell told me. “If you practice for a long chunk of time but don’t repeat anything,” that works far better. I just smiled. It was true.